Lithium, the mineral known for its efficacy against bipolar disorder, has become one of the most effective go-to for mental health. What many do not know, however, is that lithium offers a host of other lesser-known benefits, many of which go far beyond brain health. Lithium orotate, a popular lithium supplement, is perhaps the most bioavailable lithium available. Lithium is a trace mineral in the same class as essential electrolyte minerals like sodium and potassium. Many authorities believe it to be a vital trace mineral and an essential nutrient and there exists a provisional recommended daily allowance (RDA) for adults at 1 mg per day. Lithium orotate, which differs from prescription lithium carbonate, is lithium combined with orotic acid. 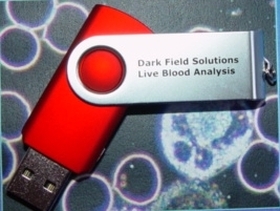 It was developed by Dr. Hans Nieper. Below is a brief list of the seven little-known health benefits of lithium. While this list is by no means exhaustive, it does provide a bit of insight. Studies have shown that lithium may increase grey matter volume in the prefrontal cortex region of the brain, most likely through the generation of new stem cells. This process is called neurogenesis, or the creation of new brain cells. Research also demonstrates lithium’s neuroprotective potential and ability to discourage age-­related, neurodegenerative brain shrinkage. 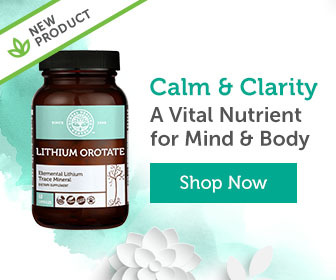 Research shows that smaller amounts of lithium orotate can be used to support therapeutic brain levels of lithium for longer periods of time compared with lithium carbonate. These findings could revolutionize the field of brain research and neurodegenerative disease. Obsessive compulsive disorder (OCD) is a subgroup of anxiety disorders characterized by obsessive thoughts and behaviors. The exact cause of this disorder remains unknown; yet, scientists believe a combination of biological, psychological, and even environmental factors may fuel the disorder. Aside from helping patients with bipolar disorder and similar mental health issues, lithium has a wide and ever-growing list of health benefits. Researchers continue to investigate the potential of this vital trace mineral. Like the article? Give us your thoughts in the comments! Schrauzer GN. Lithium: occurrence, dietary intakes, nutritional essentiality. The Journal of the American College of Nutrition. 2002 February;21(1):14-21. Monkul ES, Matsuo K, Nicoletti MA, Dierschke N, Hatch JP, Dalwani M, Brambilla P, Caetano S, Sassi RB, Mallinger AG, Soares JC. Prefrontal gray matter increases in healthy individuals after lithium treatment: a voxel-based morphometry study. Neuroscience Letters. 2007 December 11;429(1):7-11. Chuang DM. Neuroprotective and neurotrophic actions of the mood stabilizer lithium: can it be used to treat neurodenerative diseases? Critical Reviews in Neurobiology. 2004;16(1-2):83-90. Zamani A, Omrani GR, Nasab MM. Lithium’s effect on bone mineral density. Bone. 2009 February;44(2):331-4. doi: 10.1016/j.bone.2008.10.001. Bolton JM, Metge C, Lix L, Prior H, Sareen J, Leslie WD. Fracture risk from psychotropic medications: a population-based analysis. Journal of Clinical Psychopharmacology. 2008 August;28(4):384-91. doi: 10.1097/JCP.0b013e31817d5943. Vestergaard P. Skeletal effects of central nervous system active drugs: anxiolytics, sedatives, antidepressants, lithium and neuroleptics. Current Drug Safety. 2008 September;3(3):185-9. Clément-Lacroix P, Ai M, Morvan F, Roman-Roman S, Vayssiere B, Belleville C, Estrera K, Warman ML, Baron R, Rawadi G. Lrp5-independent activation of Wnt signaling by lithium chloride increases bone formation and bone mass in mice. Proceedings of the National Academy of Sciences U.S.A. 2005 November 29;102(48):17406-11. Maria Flavia Dorrego, Ph.D.; Lilia Canevara, M.D. ; Gabriela Kuzis, Ph.D.; Liliana Sabe, Ph.D.; Sergio E. Starkstein, M.D., Ph.D. A Randomized, Double-Blind, Crossover Study of Methylphenidate and Lithium in Adults With Attention-Deficit/Hyperactivity Disorder: Preliminary Findings. The Journal of Neuropsychiatry and Clinical Neurosciences 2002;14:289-295. Erickson HM Jr, Goggin JE, Messiha FS. Comparison of lithium and haloperidol therapy in Gilles de la Tourette syndrome. Advances in Experimental Medicine and Biology. 1977;90:197-205. J Lieb. The anti-prostaglandin, immunostimulating and antimicrobial properties of lithium and antidepressants. Ecancermedicalscience. 2008; 2: 88. Szuster-Ciesielska A, Tustanowska-Stachura A, Slotwinska M, Marmurowska-Michalowska H, Kandefer-Szerszen M. In vitro immunoregulatory effects of antidepressants in healthy volunteers. Polish Journal of Pharmacology. 2003 May-Jun;55(3):353-62. Lieb J. Lithium and antidepressants: inhibiting eicosanoids, stimulating immunity, and defeating microorganisms. Medical Hypotheses. 2002 October;59(4):429-32. Zarse K, Terao T, Tian J, Iwata N, Ishii N, Ristow M. Low-dose lithium uptake promotes longevity in humans and metazoans. European Journal of Nutrition. 2011 August;50(5):387-9. doi: 10.1007/s00394-011-0171-x. de Vasconcellos AP, Nieto FB, Crema LM, Diehl LA, de Almeida LM, Prediger ME, da Rocha ER, Dalmaz C. Chronic lithium treatment has antioxidant properties but does not prevent oxidative damage induced by chronic variate stress. Neurochemical Research. 2006 September;31(9):1141-51. Rasmussen SA. Lithium and tryptophan aumentation in clomipramine-resistant obsessive-compulsive disorder. The American Journal of Psychiatry. 1984 October;141(10):1283-5. Pallanti S, Haznedar MM, Hollander E, Licalzi EM, Bernadi S, Newmark R, Buchsbaum MS. Basal Ganglia activity in pathological gambling: a fluorodeoxyglucose-positron emission tomography study.Neuropsychobiology. 2010;62(2):132-8. doi: 10.1159/000317286.